The Armed Forces of the Philippines (AFP) disisted the most controversial senator, Antonio Trillanes IV, from his announced plan to come out from the Senate building yesterday, September 13, 2018, because of his pending warrant of arrest. The senator said that he would noiselessly escape from the Senate building, his haven for a week now after President Rodrigo Duterte voided his amnesty, but did not give an exact time. "Susubukan ko mamayang lumabas (I will try to leave later). 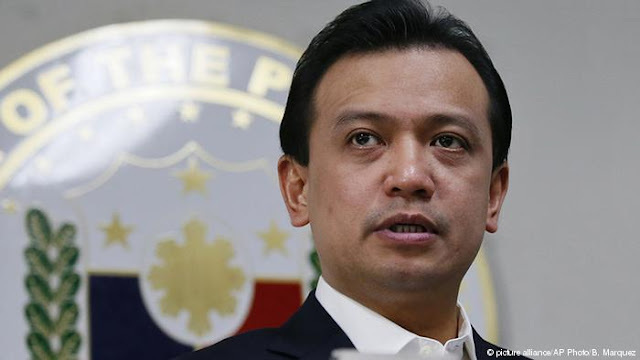 We will do it quietly para we'll see," Trillanes told the reporter. When asked about the first thing he will do just incase they arrested him, Antonio said that he will let them arrest him which only proves that the government is disrespecting the Supreme Court’s decision. 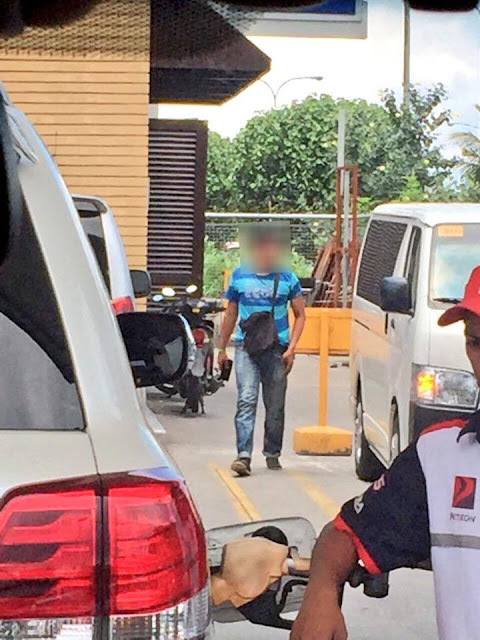 "Wala namang magre-resist sa amin. Hindi tayo manlalaban kung dumating 'yan (No one will resist from us. We will not fight back if ever it happened)" he said. Until now, Trillanes is still taking refuge inside his Senate office and immediately revoked his announcement after he received an information about the other party plan to arrest him as soon as he leaves the premise, which was according to a reliable source, there were group of men has been stalking the senator’s car for the past two days. 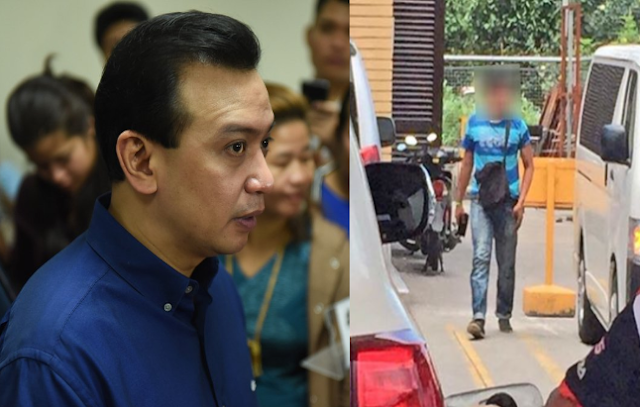 The caucus of Trillanes presented stolen pictures of the alleged group of men who was following the senator’s car. According to Manila Bulletin’s report, the AFP has already warned him about his warrant of arrest, incase he will leave his office. “The supposed intention is to stop me from going back in,” Trillanes said. Trillanes said that he will never leave his office as long the AFP hasn’t officially announced the revocation of his warrant of arrest.